Where did 2018 go? I have not made a single post this year. Why? Well, there was that teaching job that kept me very busy. And then personal stuff. And more personal stuff. But I am hoping to be back now. Sorry about the mess. I guess I should take a new photo. Maybe when I get brave enough to show "die alte Schachtel". Ha. Ich bin dieses Jahr 50 geworden. Okay, so stop by often. And be prepared to read a little German - since that is my Muttersprache. You leave the blog for just a couple of months and come back to find SPAM gallore. Ugh! Don't you hate it when people do that. Well, it's all cleaned up. I suppose I should not have left my blog dormant for so long. What can I say? I just don't have to say much these days. Still teaching. Still trying to make some Waldorf dolls and sell them on Etsy. It's getting harder and harder though. My heart is sad because Etsy sales have been terrible this year. In fact, it's been my worst year ever. I am feeling quite discouraged at the moment. 2017 has not been good to me. Not only in terms of my little business. I am feeling quite depressed at the moment. Why? A long time friend - 15+ years, godfather of my children, committed suicide on Wednesday December 13th. Despite the fact that he had been struggling with depression for many year, it still came as quite a shock to us. I can't help but feel that I am somehow guilty. We had not seen each other in quite a while - since our oldest boys both went off to college this summer. How did that happen? How is it that in this age of instant messaging, FB, Twitter, Facetime, we get so out of touch with people? Call a friend today and tell them that you love them. Stay in touch - I mean really physically, go see your friend to make sure they are okay. And if your are reading this send some kind thoughts and healing prayers to my friend Kenny and his family. January has been an awesome month for my Waldorf doll shop. My doll sales on Etsy have finally picked up again. 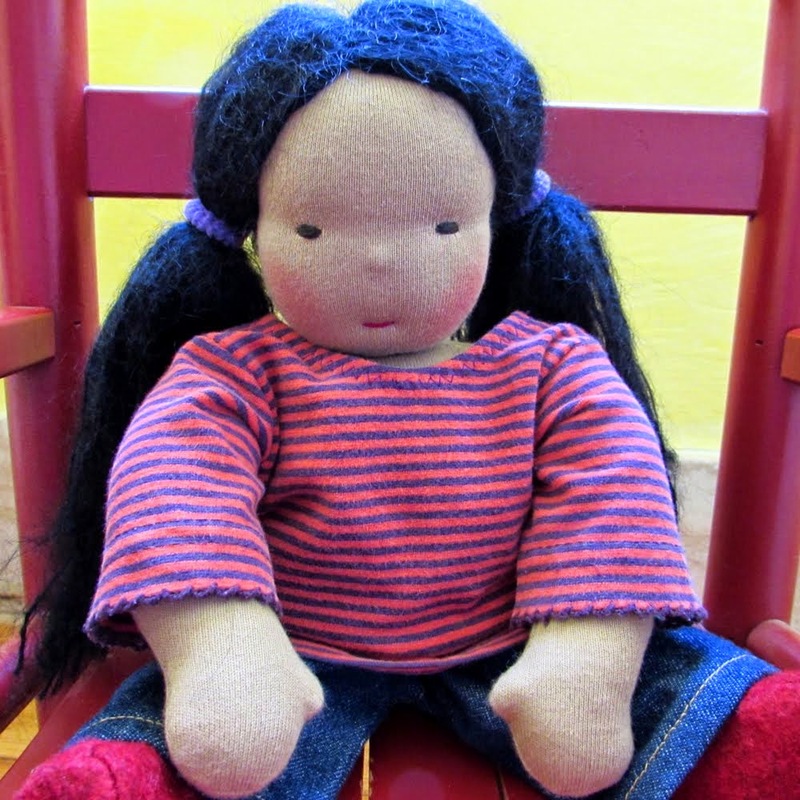 I am so happy that I found homes for two of my big dolls. It is hard to let go of my babies but I am happy they have been adopted by a new family. I also had a super month teaching. I love teaching German to 6th graders. It is hard to believe how one year can make such a difference. It appears that by 7th grade almost half the students suffer from severe "hormone poisoning" and cannot focus. One does not want to generalize - but it does seem that sixth grade students have much more respect for their teachers and have a residual sweetness about them lacking in the average 7th grade student. Just a few days ago, I had a great teaching moment, when I happened to have my back turned away from the class. I hardly ever wanted to turn my back last year. As I was writing on the board, I heard a child say:" I love German class. I wish I could take it all year." That comment sure made my day. Teaching foreign languages in the US is definitely a tall order. Many people don't seem to believe in the need of learning another language to begin with. A few people might actually see a need for Spanish because there are so many Spanish-speaking immigrants. But German? Why would you need that? The weird thing about being a teacher in the US is having the watchful eyes of administrators on you. Just picture the Eye of Sauron. While I was growing up in Germany I never saw the principal come into the classroom to check if our teacher was doing a good job. Once you have been trained and have your teaching degree there are no tests or watchful eyes. Please, correct me if I am wrong. Anyway, I find those "tests" very stressful and kind of scary. But I am sure that in the end it is beneficial, and this process may be helpful in weeding out teachers that are not very good at their job. But who knows. Well, I passed my "teaching test" this month with flying colors. So a little round of applause for this old lady rookie seems to be in order here! Yup. 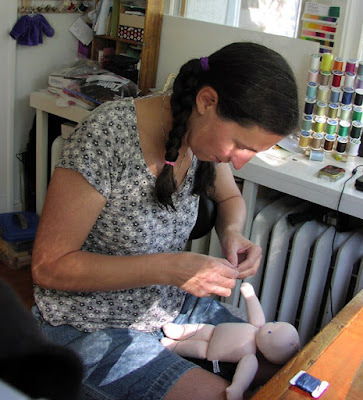 I am still here making dolls. Still teaching German and I love both of my jobs. I totally abandoned blogging last year. I guess it is hard to find time and words these days. Like I have no words for what happened in politics and with the elections in the US. Just choking when I think of it. I guess the best part about 2016 was that I got to go home and visit my family in Germany. There were lots of hugs and tears during the most fabulous of family reunions. And I got to visit my friends and "family" in Berlin. Lucky me! Hello dear Waldorf dollfriends! Looks like another six months have gone by without me posting on my beloved blog. Who has time for blogging? Apparently not me. I just stopped by for old time's sake. If you see this post please leave me a note. Kind of like going to the beach and finding a bottle with a message in it. Who are the people in the photo? They are my kids. They are almost grown up. 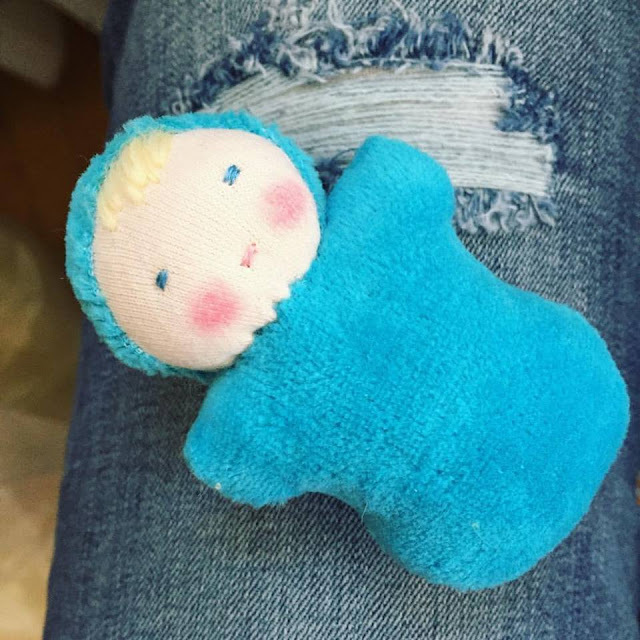 Seems like yesterday when I made that first doll for my little girl. Now she is learning to drive. A - M - A - Z - I - N - G . How did that happen? I still enjoy teaching German. Being a teacher is so rewarding. I feel so honored to get the opportunity to introduce middle school kids to the German language. It's not an easy job. I come home and I am just exhausted. I found that standing in front of a classroom takes a whole lot of energy. More than I ever imagined. But it is all good. I love it. On the days I am off I make some little dolls now and then. 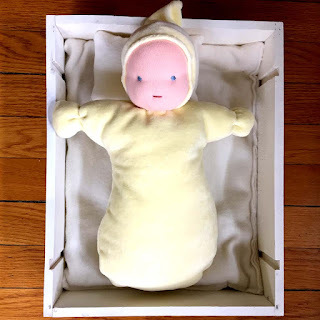 Over the summer I worked hard to fill up the shop with doll clothes and other little treasures so folks don't have to go without germandolls for Christmas. 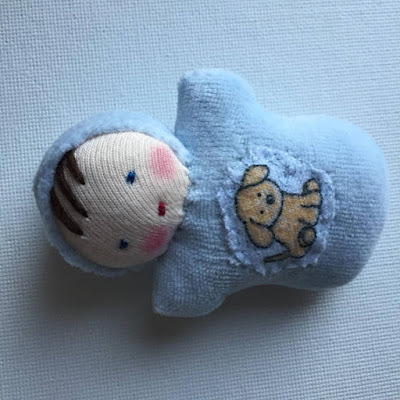 If you have time, please visit my shop and hopefully you will find something for a friend or kid who needs a hug or special price. We drove up to the mountains the other day. I was totally prepared to get all those wonderful photos of the snow covered Colorado peaks. Then we got out of the car in Estes Park. It was bitter cold. Next thing it started snowing on us. The only photos I took were pictures from the car. Here is the one I liked best. 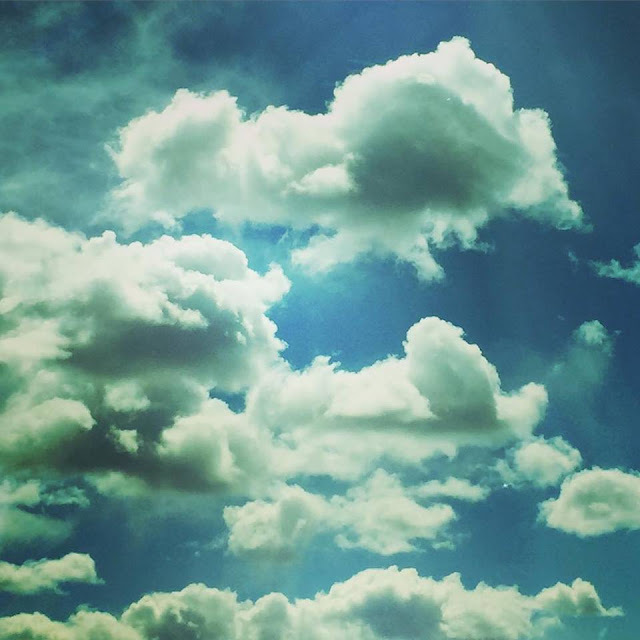 Who does not love a good picture of clouds? One minute it snows here. The next you see the sun come out and the sky is bright blue. That pretty much describes my mood these days. In German we call that sort of mood: "Himmelhoch jauchzend - zu Tode betrübt". In translation that means something like: Shouting gleefully happy up to the sky and then deathly sad. Yup, that's me. Very moody these days. My little Waldorf dolls and the bright smiles of children make me happy. Watching the news makes me sad. So not digging the politics here. Who would seriously vote for that guy with the ugly comb-over? I mean really, folks, just from an aesthetic perspective? Never mind the politics that match his looks.